Nua is a blend of merino, yak, and linen. Each of these fibres contributes something special to create an amazing yarn blend. Merino provides a soft, squishy, and versatile base. Yak adds a unique silkiness to the yarn that knitter fingers will simply love. Finally, linen, a fibre with a deep history in Irish culture, adds strength and durability. 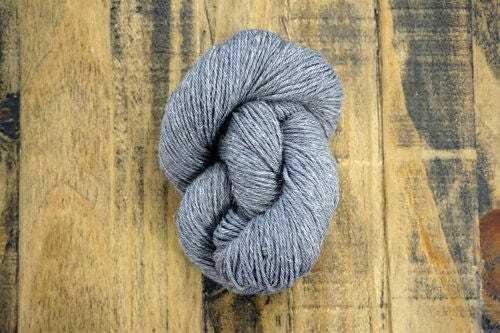 Nua is non-superwash, which creates a lighter yarn with a bit more bounce, making blocking easier and helping projects (especially garments) to hold their shape nicely.